The circle represents the eternal capacity of planet earth to naturally sustain free flowing & pure lotic environments. The multi-directional river sustains the planet in return, in returning turns and bends. Original idea & concept by Rob. Ine expressed the concept with rough drawings and illustrations. The final image and font illustrations were fine tuned by Lillian Korstad Design in Oslo, Norway. PLANET RIVER ®, the name and PLANET RIVER ®logo is the approved and registered trademark of PLANET RIVER DA. 1000´s of kilometres of river current, individually travelled and experienced in the river travel industry by Rob & Ine led to the confluence of combined interest. A boat was designed and built to run this flow. She was named Planet River. A small crew is currently on board and it is paddled by Rob Wilson & steered by Ine Skjørten Wilson. 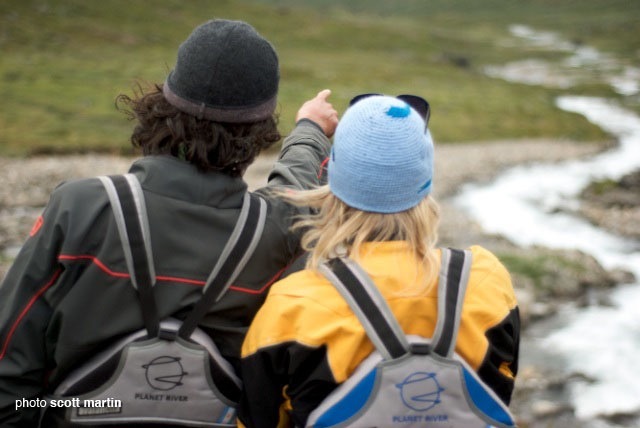 Their passion is to explore and document rivers of our planet from source to mouth. Promoting river travel on clean free flowing rivers - involving safety, white water instruction, tours and multi-day descents. 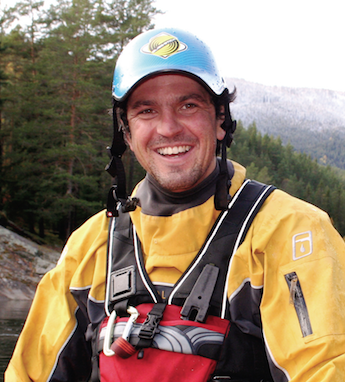 Experienced knowledge of the Norwegian & international river and competitive rafting scene via 30+ years of being in the flow as a kayak instructor, photo boater, raft guide, expedition paddler & national raft team captain. Ine holds the line relating to business goals, budgets, sponsorship and Robs´ class 5 ideas. Contributing with published articles, hand drawn illustrations, commercial photography, raft racing for Norway and expedition experience. Balanced by yoga, practicing as a psychologist specialist, photography, art and a lovingly attended organic summer vegetable garden. 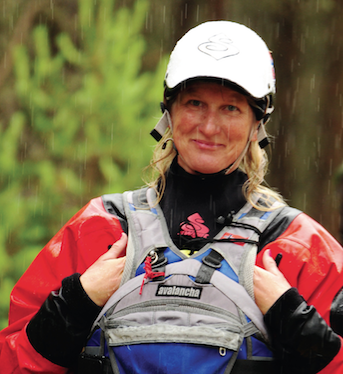 River skills nurtured as a seasoned river-ops manager, raft guide, kayak instructor and photo-boater on the Apurimac, Futaleufu, Ottawa, White Nile, Sjoa & Orange Rivers´ lined up the skills for a solo 2500 km expedition. Rob seeks clean lines. Expedition strategy, studying maps, writing, photography, running white-water kayak tours & keeping this website up to date are his choices. ﻿Solo paddling, whether it be an expedition or getting dropped off upriver and finding a safe line home, maintains lifes perspectives.